After New York, the young nation would have a 16 month wait until North Carolina joined as the 12th state. But for us, we only had to wait a week before a new beer joined the ranks. Online beer history for North Carolina is sparse, as seen in this timeline which shows a large hole between the 1774 when North Carolina opened its first brewery and 1908, when North Carolina became the first southern state to enact a statewide prohibition. That was a full 12 years before the 18th amendment went into effect and in the end, it would be a total of 27 years before alcohol was allowed (legally) in the state again. Even with the 1935 repealing of prohibition, it would take many years for North Carolina to recover from the effects. And in fact, with dry counties such as Graham, it really hasn’t fully recovered. So it was surprising to learn about the prolific craft brewing scene in Asheville, on the western side of the state. The Asheville brewing scene while relativity young, with the first brewery starting up in 1994, has grown up quick. Considered Beer City, USA, Asheville North Carolina is home to more than 12 breweries. When you compare that to the 7 breweries currently operating in Boston, a city with a population size 540 thousand larger than Asheville, you realize that there must be something special in the Asheville North Carolina water (pun intended). Asheville is not the only place that craft brewing is surging in North Carolina. According to the brewers association, North Carolina had 58 breweries in 2011 (and probably has even more now). And despite that impressive number, I have yet to find North Carolina beer in Massachusetts. But I was prepared for this, and planned appropriately. As I was collecting beer from states that I knew would be hard to obtain, I encountered an interesting problem. Space. There was only so much space in the car to transport back all these interesting brews, and as a result I had to start trimming back on the variety. Since this was mostly ad hoc, there was no systematic selection process in progress. And as a result, I ended up with only one style of beer from North Carolina. Oh well, there are worse problems to have, and after last weeks epic tasting adventure, the slower pace was a welcome break. So, that brings us to this weeks selection. 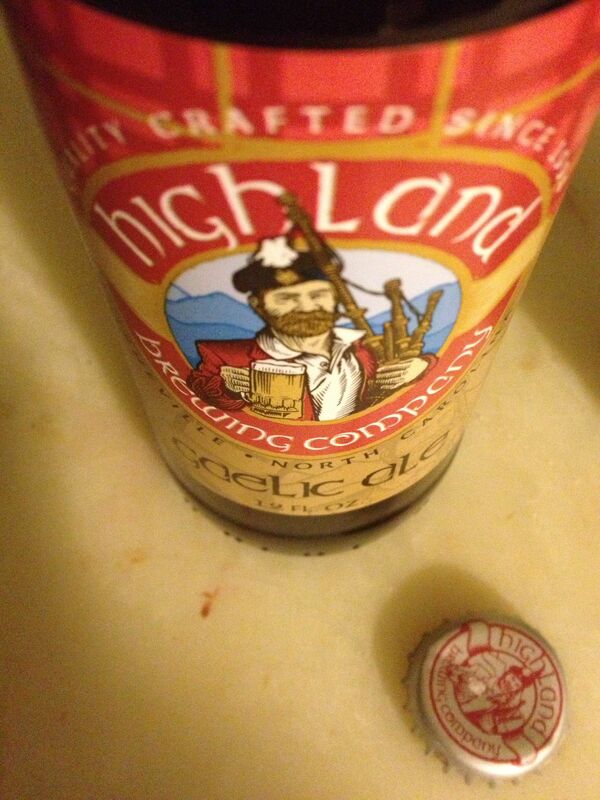 A six pack of Gaelic Ale from Highland Brewing in Asheville, North Carolina. The Gaelic Ale is an American Amber Ale not based on any particular style. In the glass this beer was not cloudy and had a nice amber color, it reminded me of honey. While the picture is deceiving, this beer was not heavily carbonated. 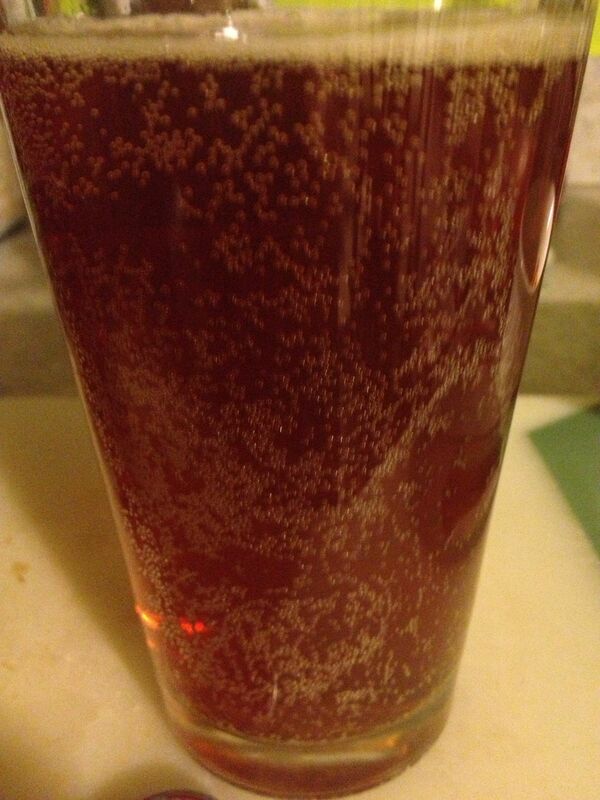 In fact, it had a mild carbonation, making it really enjoyable to drink. The smell sweet with hints of honey, and that sweetness carried through in the taste, but was well complimented with a slight bitterness from the hops that help to balance out the sweet. Finishing with a clean, refreshing mouthfeel, this beer was a wonderful combination of flavors and smells. Next week, we enter state 13, Rhode Island. See you then.